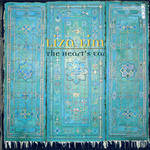 The heart's ear / Liza Lim. Instrumentation: Piccolo/flute (also vocalising), oboe d'amore, flugel horn, 13-string koto, viola, 2 cellos, percussion (also vocalising). Commission note: Commissioned by Elision Ensemble with funds provided by Australia Council. Performing Arts Board. First performance: by Elision Ensemble, Sandro Gorli — 30 Jul 94. 30 Jul 94: featuring Elision Ensemble, Sandro Gorli. Jul 94: Churchill Auditorium, Lismore, NSW. Featuring Elision Ensemble, Sandro Gorli.